Rogue Factor’s turn-based tactical-RPG Mordheim: City of the Damned will receive its first content update on Thursday the 11th, having successfully launched its Early Access campaign – to 90% ‘very positive user reviews on Steam’ – a few weeks ago. Based on the Games Workshop tabletop game, from Thursday Mordheim: City of the Damned will now feature The Sisters of Sigmar, and the first part of the Warcamp – a hub from which you manage your warband and other activities – with weapon and armour management. 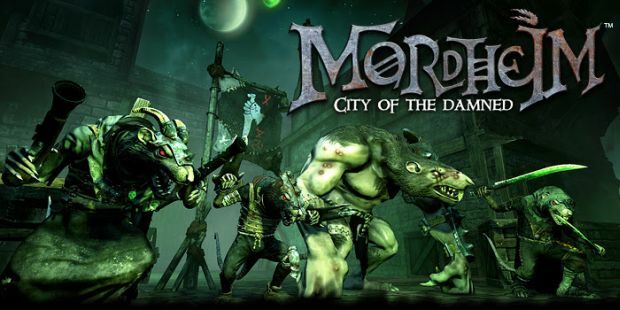 Mordheim: City of the Damned launched with The Mercenaries of the Empire, and The Skaven of Clan Eshin, with the first content update slated for Thursday bringing that total to three. The Cult of the Posessed along with a host of other features will be released in the near future according to the Early Access road-map on the Steam page. The Sisters of Sigmar: A magic and melee based warband deemed as ‘heretics’ by the broader Cult of Sigmar because they miraculously survived the impact of the twin tailed comet. Completely devoted to their god, the Sisters of Sigmar seek to cleanse Mordheim of the many evils within the city walls, locking away the wyrdstone to ultimately contain its corruptive properties. Their skills include ‘Healing Circle’, an AOE healing spell. ‘Comet of Sigmar’, a magical attack that bypasses armour. And finally “Blessing of Speed”, which increases movement of its target by 1 meter, and increases climb, leap, and jump-down checks by 10%. The Warcamp: The Warcamp is a hub from where you’ll head into skirmishes and manage your warband. This feature will be updated incrementally, to include more activities throughout Early Access and to release. Armour and weapon customisation: In this update, you will be able to change the armour for each unit in your warband with statistical changes. Visual changes will be coming later in the Early Access. You will also be able to change weapons, with two sets for each unit. Visual changes for weapons are included in this update. Do not worry about looting items for now – as we head into Early Access Phase Two, we’ve given you a whole lot of armour and weapons to choose from, which can be accessed from the Management area of your hideout!